Latham presented an original paper at the BCS Computer Graphics and Displays Group and Computer Arts Society’s 20th Anniversary Conference. 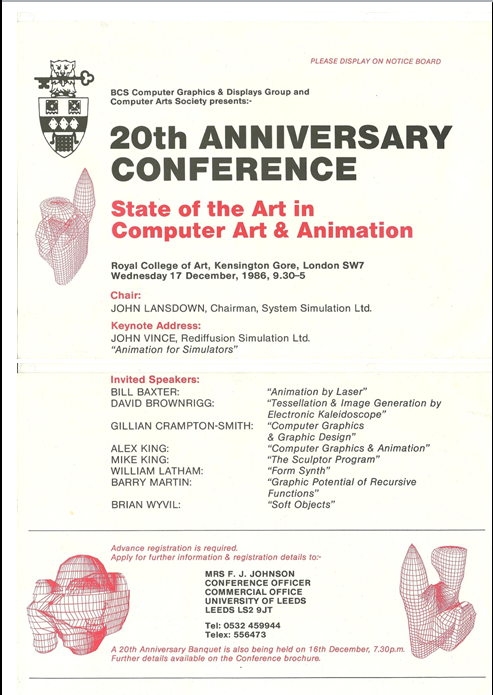 The conference was entitled State of the Art in Computer Art and Animation and was held at the RCA, London. His paper was entitled, ‘Form synth: the rule-based evolution of complex forms from geometric primitives’.